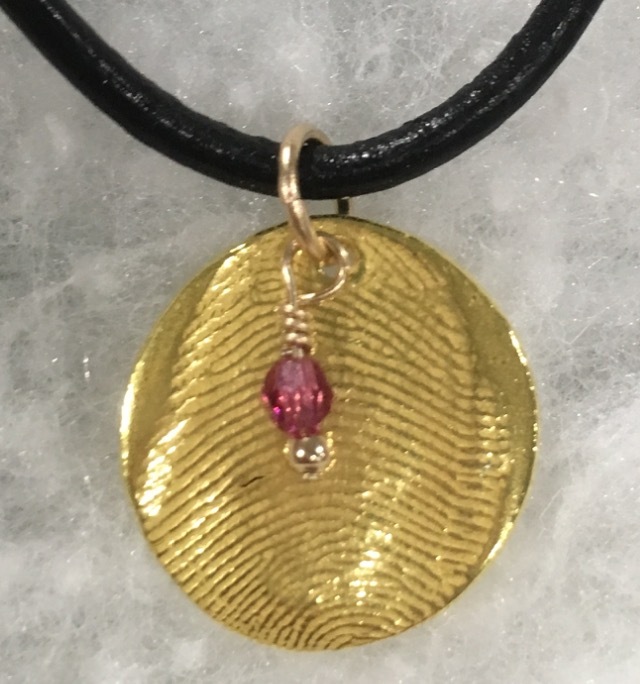 Individual Charms - We also sell individual charms, not strung on a necklace or a bracelet. They are delivered with a jump ring, so you can add it to your own chain. 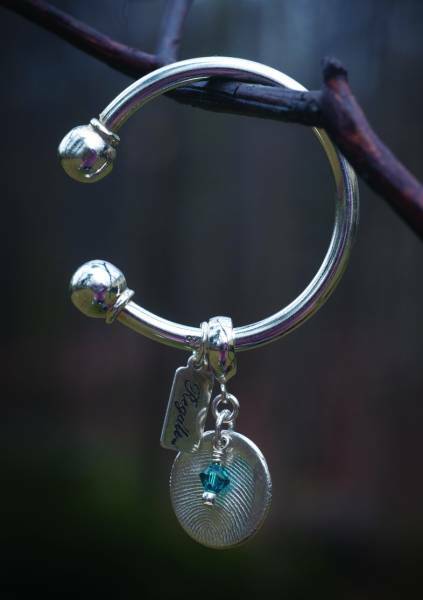 You can also purchase charms designed to fit onto add-a-bead bracelets, such as Pandora, Troll, or Brighton. These are delivered on a bail. Keyring – This horseshoe-shaped keyring holds prints suspended from a bail. 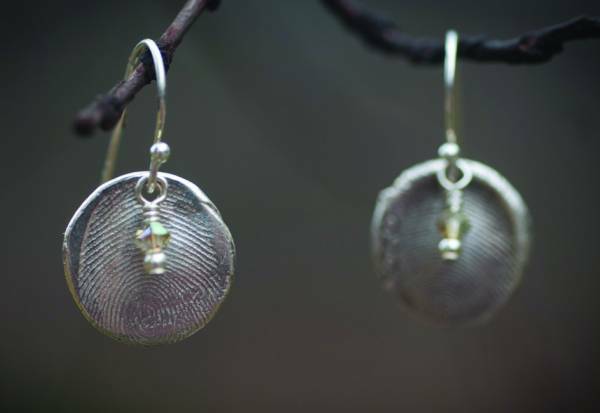 Earrings – Make these earrings with 2 separate prints or 2 from the same person. 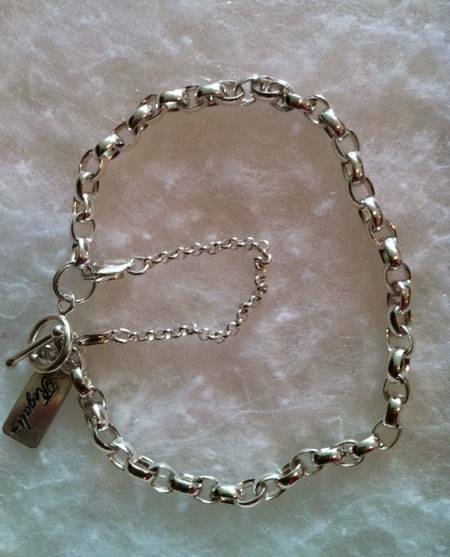 Safety Chain - This chain will secure your bracelet, in the event that your toggle opens. 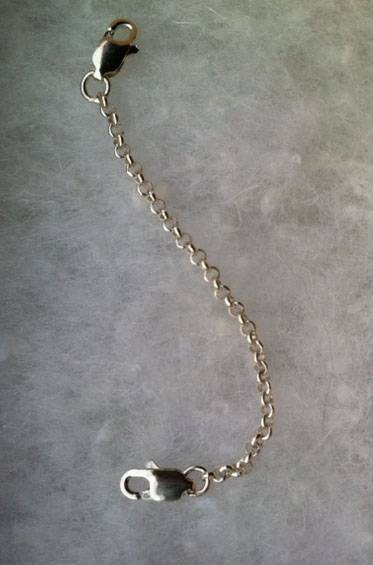 It's a sturdy Rolo chain with small lobster clasps at each end. 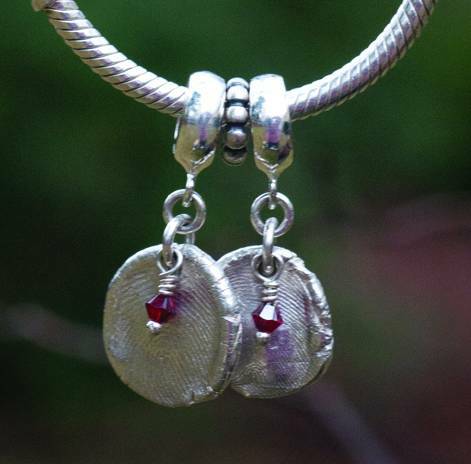 Two other sizes of clasps are available, should you need one for bracelets you already own.